We’ve been privileged over the last couple of months to help long-time client Coalfire—the nation’s leading independent IT Governance Risk and Compliance advisors—with the branding and marketing of their new offering for the healthcare sector. 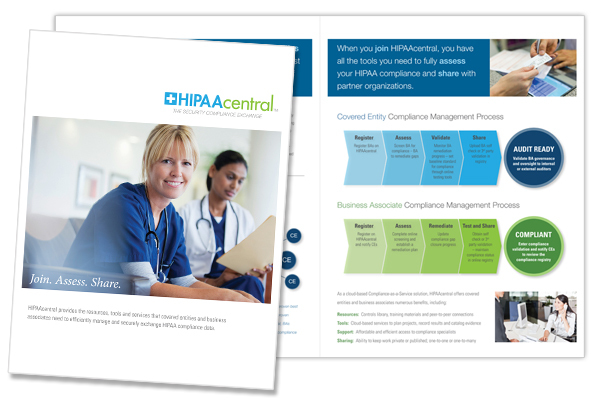 The new enterprise, HIPAAcentral, is a powerful web-based platform that enables covered entities and business associates to comply with the new Omnibus Rule issued by HHS as part of the HITECH Act. Coalfire leveraged its proprietary, industry-leading Navis compliance assessment platform to make it easy for healthcare organizations to assess and share their compliance status. Last Post: Kudos to Inada USA for Strong Showing at CES 2014!